"Paroxetine is not effective in adolescents with major depression and actually causes harm"
This simple statement is taken from the doctors online magazine, Pulse, on 18th September 2015. What the statement hides is that this constitutes yet another example of fraudulent activity by the pharmaceutical industry, and the harm it is prepared to do to its patients in order to sell drugs. The trial was undertaken in 2001 and came to the conclusion that paraxetine was 'safe and effective' for adolescents, and on this basis doctors have been prescribing it for the last 14 years! The study was funded by the Big Pharma company - GlaxoSmithKline. "Neither paroxetine nor high dose imipramine showed efficacy for major depression in adolescents, and there was an increase in harms with both drugs". The result is that after prescribing the drug for over 14 years (on the basis of a so-called 'scientific' trial), doctors are now being advised by the drug regulator, the MHRA, against prescribing SSRIs to young people as "they may be linked to increased suicide-related events". Indeed, the Pulse article says that the 'new analysis' suggested that doctors should be cautions with all SSRI drugs, and avoid paroxetine altogether! And that, according to Pulse, and presumably the wider conventional medical establishment, is all there is to it! The re-analysis of the study was said to be "helpful to confirm the current advice". No mention of the 2001 study, and why it came to a false recommendation. No mention about what action would be taken against the drug company, and the so-called scientists who 'got it wrong'. No mention of how many people have been given this drug for the last 14 years on the basis of this 'scientific' recommendation. No mention of how many people have been harmed by the drug during this time. No mention of an apology by the conventional medical profession. As far as I can ascertain, no mention of this fraud in any of the mainstream media. Paroxetine is sold under more well-known trade names, including Paxil and Seroxat, that have been marketed since 1992. The drug, quite regardless of the plethora of names under which it is marketed, has been known to be dangerous since that time. It is known to increase suicide risk, and to cause birth defects. Like other SSRI drugs it can cause dizziness, headaches, blurred vision, loss of appetite, nausea, diarrhoea, constipation, somnolence, insomnia, hypomania, nervousness, paraesthesia, dizziness, weakness, tremor, sweating and sexual dysfunction. And no doubt much more that is not yet known, or admitted. According to the Pulse article, this re-analysis is "the first piece of work to be published in the BMJas part of an initiative called RIAT – Restoring Invisible and Abandoned Trials". What this means is that there is now considerable concern about the 'science' that underlays so many of the pharmaceutical drug trials that have taken place over recent decades. More fraud, concerning more drugs and vaccines, are clearly suspected to have taken place. Drug companies have paid for the 'science', and at least some scientists appear to have been happy to produce the results that the drug companies have wanted. This is cheque-book science, not real science! It is not the science that seeks truth, it is the science that seeks to sell pharmaceutical drugs. It is not the science that protects patients. It is the science that puts patients at risk of dangerous drugs. It is science that supports Big Pharma profits. Gout is a type of arthritis to the joints, most often to the ankles, feet, and especially the big toe. Gout can be extremely painful, the joint become extremely tender, making walking extremely difficult. The most common symptom is sudden, severe pain with swelling and redness. An attack of gout can last for several days. NHS Choices says that the first treatment of gout is to relieve the pain of an attack, and provides some ‘self-care’ techniques for doing so, such rest, raising the limb, keeping it cool. Painkilling drugs are then recommended “as an initial treatment” for gout, with Naproxen, Diclofenac, and Etoricoxib specifically mentioned. “If you have been prescribed NSAIDs for gout, it is best to keep them near you at all times so you can use them at the first sign of a gout attack. Continue to take your medication throughout the attack and for 48 hours after the attack has finished”. The serious side effects of NSAID drugs, particularly when they have to be taken with this regularity, are such that NHS Choices continue by recommending another drug to counteract these! So for a fuller explanations of these dangers, and the harm they can cause, click on this link. NHS Choices says that painkillers should be prescribed together with PPI drugs - “which reduce the risk of the NSAID causing indigestion, stomach ulcers and bleeding from the stomach”. NHS Choices also warn that patients “with reduced kidney function, conditions such as stomach ulcers or bleeding, or who are using certain medications such as warfarin or treatments for blood pressure should avoid using NSAIDs”. NHS Choices says that patients unable to take NSAID painkillers can be prescribed this drug as an alternative. Colchicine is derived from the crocus autumnale plant which is know to be extremely poisonous. In homeopathy a remedy made from this plant is also used to treat gout (see below), but of course homeopathic dilution and potentization makes it use in homeopathy entirely safe. However, as a conventional pharmaceutical drug it can be dangerous. Even NHS Choices admits this, saying that whilst it can be an effective treatment for gout “it should be used at low doses as it can cause side effects, including nausea, abdominal pain and diarrhoea, and goes on to admit that it “can cause major gut problems”. Colchicine can do far worse than this, and effects more than just the gut. The drugs.com website problem caused to the blood; the nervous system, including myopathy, seizures, mental status changes, and neuropathy; acute kidney failure; skin problems, including urticaria and alopecia; respiratory and muscleskeletal problems. NHS also say the corticosteroid drugs are unsuitable for patients with impaired liver and kidney function, or heart failure. NHS Choices also says that to prevent regular attacks of gout that this drug is recommended, although they warn that to maintain this ‘cure’ they would have to be taken, daily, for the rest of your life! In return, the patient is warned of side effects, ranging from a skin rash, allergic reactions, indigestion, headache and diarrhoea. For people with kidney disease Allopurinol is not suitable. Moreover, NHS Choices says that Febuxostat is not considered to be suitable for people with heart problems, especially heart failure. For those who can take the drug, and “to try to reduce the frequency and severity of this side effect, your doctor may prescribe you regular daily oral NSAIDs or colchicine …for up to six months following the start of Febuxostat as preventative treatment”. 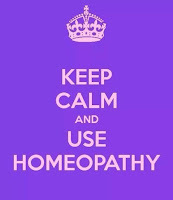 Small wonder, then, that many people find homeopathy to be both safer and more effective! The following remedies provide a guide to the kind of symptoms they will treat. They have been taken from the Arthritis Holistic Hotline website. All the remedies mentioned are safe, and any remedy that matches the patient’s symptoms will be effective. The person is anxious, with a good imagination that can picture many terrible things. The joints are swollen and painful. The pain is worse at night and with warmth, but better with fresh air and rest. Arnica can also be very helpful for discomfort that comes with gout. Pain is sore and bruise-like, and it hurts to walk. The person may be afraid to be approached or touched, because of pain. Useful for symptoms such as sudden onset, swelling, throbbing, heat, and. The joints look red, inflamed, and shiny - with sharp or violent pains that are worse from touch and jarring. The person may feel restless, flushed, and hot. Twinges of pain in gouty joints, or stitching pains that are aggravated by changing position or walking, may indicate a need for Berberis. Berberis is often indicated for people who ache all over; some have nagging back pain or a tendency toward kidney stones. Bryonia is helpful when tearing pain is worse from the slightest movement. When the finger joints become enlarged because of gout, and the knees and toes may be involved, it may be time for this remedy. Stabbing pain is experienced, and the joints may make a cracking sound on movement. Discomfort is worse during weather changes, and warmth may bring relief. For great weariness, nausea, shoutings and tearings in muscles and joints worse with movement, better at night. Tearings in legs, feet, and toes with swelling. Colchicum is perhaps the most useful, and most often used for gout. The gout often appears in the big toe or heel-so painful the person finds both motion and touch unbearable. The joints are swollen, red and hot. Pain is often worse in the evening and at night. Flare-ups may occur in the springtime or with weather changes. Individuals who need this remedy often have a feeling of internal coldness and are very tired. Ledum is indicated when the foot and big toe are swollen. Shooting pains are felt all through the foot and ankle, moving upward to the knee. Cold applications relieve both the swelling and the pain. When gout flies about from joint to joint. When you experience gouty swelling of the big toe joint that flares up before a storm, this remedy may be indicated. Other joints may ache and swell, especially on the right side of the body. Pain usually is worse toward early morning and after staying still too long. The person may feel better from warmth and after eating. This remedy can be helpful for joints that are hot, stiff, painful, and swollen. Symptoms are worse in cold, damp weather and improved by warmth and gentle motion. When you have painful gouty joints that itch, along with a burning feeling in the feet, sulphur may be useful. The knees and other joints may be involved. Problems are aggravated by heat in any form, and are often worse in damp weather and in springtime. Although these remedies can be taken safely without the professional assistance of a qualified homeopath, the identification of the best remedy for each patient is best done within a professional consultation. I don't usually respond to anything that Homeopathy Denialist have to say on matters of health, because usually they have little to say - apart from denial and abuse! Paul Morgan frequently responds to my tweets, and he is not usually the most abuse. But this morning I awoke to several responses, and it is interesting to outline his position - as far as I understand it, of course! 1. In response to my blog on Tetanus, which compares the homeopathic and conventional treatment of this condition. Paul's response is just per abuse. "Stupid, idiotic, downright dangerous. You should be ashamed for promoting such dangerous, bad advice". Homeopathy has, of course, been treating Tetanus, safely and effectively for many years, and you will note the complete lack of any explanation about why people should not be aware of treatments that are alternative to conventional DPT vaccination, with all its known risks and dangers. There is no answer, and no answer required. 2. So on to my tweet highlighting the webpage entitled "The Eight Best Homeopathy Treatments for Psoriasis". Homeopathy has, of course, been treating Psoriasis safely and effectively for many years, and as conventional medicine has few effective treatments, and no safe treatments, it presents an alternative for those people suffering from the condition. Paul's response is just pure denial. "…..are all equally useless identical sugar pill placebos". In order to say this Paul has to be in denial himself - he has to deny the experience of millions of people who have been cured of Psoriasis over the years, throughout the world, and he has to deny even the growing evidence of randomised, controlled tests that have demonstrate that homeopathic remedies are must more than 'sugar pill' or 'placebo'. 3. In response to my blog, "The Mustard Gas Experiments 1941-1942. Homeopathy works! So just ignore it!" Paul reverts to simple abuse again, but this time, abuse about a blog that contains the evidence supporting what actually happened over 70 years ago. Paul, of course, fails to explain which of the events are 'utterly deluded', and what is 'nonsense'. But this is typical of homeopathy denialists, they have little to say, little to contribute to the debate, so they just revert to denial. "I can't believe Americans know this is happening, and aren't out on streets protesting and demanding health freedom!" Unusually for Paul, and denialists generally, he suggests that mandatory vaccination is consistent with health freedom. "Vaccination gives health freedom - from preventable, dangerous, life-threatening diseases. Herd immunity civic duty". So let's dissect his argument. It is an interesting idea that forcing people to take drugs and vaccines can actually enhance their freedom! We must suppose that people are so stupid that they will not act for themselves, in their own best interests, following a good reasoned, and fact-supported case in favour of pharmaceutical drugs. Government has to force people to protect themselves. Government know best. The individual should not be allowed to make up his or her own mind on the basis of the information they have on the subject. It is an interesting idea about the nature of freedom, and indeed democracy. So in what way are people benefitting, what are they being freed from? How is mandatory vaccination benefitting us? It is freeing us from preventable, dangerous, life-threatening diseases. There are so many assumptions here. They are all assumptions that support the position of the pharmaceutical industry, and they can be quickly dismissed. Preventable? In order to argue this Paul has to ignore the growing evidence that vaccines, and other conventional drugs are not preventing these diseases, and never have done. Dangerous? The dangers of many of the illnesses for which there is a vaccine has had to be hyped in order to exaggerate the importance of having the vaccines. Most of them are not dangerous at all. Some of them were dangerous but are no longer dangerous (and haven't been for many decades prior to the introduction of vaccines). And it is well known that the 'adverse reactions' to pharmaceutical drugs are now more dangerous, and real, than the condition for which they have been given. Life-Threatening? As stated above, most of the diseases for which there is a vaccine are not dangerous, leave alone life-threatening. And the drugs and vaccines supported by Paul, and other pro-big pharma supporters, are now on their way to becoming the most important factor in causing death. And lastly, we come to the concept of 'herd immunity', something that Paul describes as a 'civic duty'. Gosh, a civic duty! Most people want to avoid contracting illness and disease. Most people use the conventional drugs and vaccines they are offered by their doctors, as they believe it is the only alternative. So they go to their doctor, and get the drug, or the vaccine. They do so on the basis that conventional medicine has treated them, and that they are now safe, they will not contract the disease. The problem is that many people DO contract the disease! So how is this explained? People who get measles, or polio, or other diseases for which they have been vaccinated, have not, in fact, contracted these diseases. It is a different disease, with a different name! The 'new' disease may have the same identical symptoms - but it is not the same disease. And people who contract measles after vaccination do so because other people have not been vaccinated! The whole 'herd' has to be vaccinated, otherwise even the vaccinated are at risk! So what does 'herd immunity' mean. It means that people who have been vaccinated are not safe, because other people have not been vaccinated! It means that in order for a vaccine to work, everyone has to be vaccinated! It means that everyone has to be vaccinated in order that each individual can be safe. It is an argument for the mandatory drugging of entire populations. So 'herd immunity' is good for pharmaceutical profits. And we are all expected to go to our doctor to have his drugs and vaccines, regardless of the known consequences of taking them. And even when we take them, and risk the harm involved in doing so, we cannot assume that we are safe, unless everyone else does the same. We have taken all the risks, but to no avail! Some people, and a growing number of people, want to avoid the risks and dangers of conventional medical treatment, and decide instead to use medical therapies that are both more effective, and safer. It is these people that Paul dislikes so much, and is so abusive towards via Twitter. But basically, Paul, I don't give a damn! You are welcome to use any form of medicine you want to use. I will not. And I will continue to recommend to other people that there are safer and more effective medical therapies And that mandatory (forced) medication is against our health freedoms. Personal Health Budgets. The future for Patient Choice and Health Freedom? The doctor's e-magazine, Pulse, has recently 'revealed' that NHS funding is being "splashed on holidays, games consoles and summer houses". The spending has been incurred via the new 'Personal Health Budgets' being trialled, under which patients with long-term health problems are given a budget to spend on anything they believe will help their condition. Of course, GP's have hitherto had complete control on how NHS money has been spent, and most of this doctor-controlled spending has been on drug-, vaccine-based treatment. Clearly, from the comments that have followed the article, many doctors do not approve of patients making decisions for themselves! "Absolutely ridiculous. Health service should wake up". "This is what happens when you pursue 'patient-centredness'". Some doctors blame the policy on socialism, communism, and others on a plot to introduce privatisation. One doctor bemoans "...why there is no real money to employ nurse/pharmacists/real doctors to do the proper job". So what about the future of 'Personal Health Budgets'? The conventional medical establishment has held a near-monopoly in the provision of NHS health services and care since its inception in 1947. Any patient walking into a GP surgery, or into a hospital, is given one type of medicine. The patients who are now receiving these budgets have long-term conditions, so themselves will have given doctors, nurses and pharmacists plenty of time "to do a proper job". Presumably the "proper job" has hitherto done little to treat the condition successfully! Most of the people given personal health budgets will have listened to the advice of doctors, done their tests, taken their drugs and vaccines, seen specialists, and been subjected to everything that conventional medicine has to offer. All to no avail! Moreover, a growing number of people are becoming increasingly weary about both the effectiveness and safety of the vaccines, drugs and other treatments that they are asked to take. These are all treatments that our doctors tell us are "well-tolerated" even when the evidence is increasingly that they are not 'tolerated', that they lead to side effects and adverse reactions, and that many of these are not inconsequential, short-term headaches, but fully fledged diseases in their own right. Many people are now asking themselves whether they want to take the risk, and as more and more diseases reach epidemic proportions - arthritis, autism, demential, diabetes, et al - all of which can be linked to conventional medical treatment. So it is perhaps little wonder that some people may consider that holidays, games consoles and summer houses might be better for their health, and if not, safer for their long-term health. The Pulse article goes on to indicate that personal health budgets are a threat to the conventional medical establishment, destabilising existing serves. Dr Richard Vautrey is quoted as saying that they can have a "very big impact on existing services". This is almost undoubtedly so. Yet perhaps the medical profession needs to ask itself some deeper, more fundamental questions. Has it been doing a 'proper job' with our health? Are its vaccines and drugs as safe as they tell us they are, and if so, why do so many patients now doubting what they are being told? What is the explanation for the epidemic levels of chronic disease that have been so apparent in recent years? Is it all down to an ageing population, or poor diet? Why, for example, is dementia happening for people in their 30s, 40s and 50's? Is there a connection with pharmaceutical drugs and vaccines? Does the conventional medical establishment know that there is a connection, but are not telling us the whole truth? Personal care budgets certainly represents a challenge to what has been a monopoly of treatment options within the NHS. Doctors have hitherto determined what treatments are, and are not available to us. 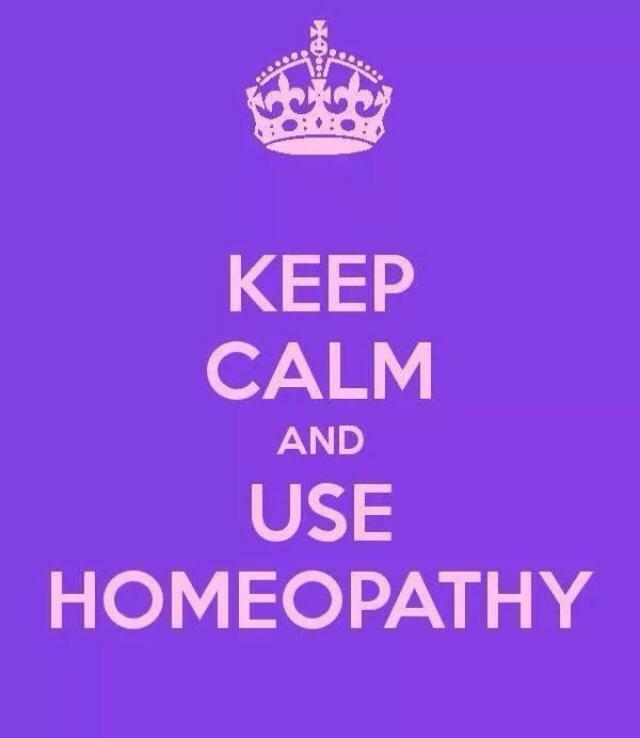 Several years ago I asked my GP to refer me for homeopathic treatment for my heart palpitations. It took an 11 month battle for me to obtain a referral, after going through the NHS complaints system. The homeopathic treatment was completely successful. Patient choice has long been neglected within the NHS. For instance, the handful of NHS homeopathic hospitals are continually under threat by the medical establishment who are stopping, restricting and preventing referrals. Some have been closed in recent years as a direct result. This resistance to non-conventional treatment options has been, and continues to be, led by NHS doctors. According to the majority of doctors there is only one form of medicine, and everything else is bogus They know best. And patients should just accept what they are given. Many of the GP responses to the Pulse article reflect this view. Well, perhaps personal health budgets will be a turning point. It will challenge the monopoly of conventional, pharmaceutical based medicine. And I suspect and fear that it is this challenge to their clinical authority that doctors are objecting to. Patients need health freedom, and growing numbers of people are demanding it. The real challenge for NHS doctors is not holidays, game consoles and summer houses. It is the medical therapies that offer patients a real and proper choice of treatment for their condition, and whether our doctors are going to be prepared to embrace them, fully, as part of their armoury of options for patients, and according to the wishes of their patients.